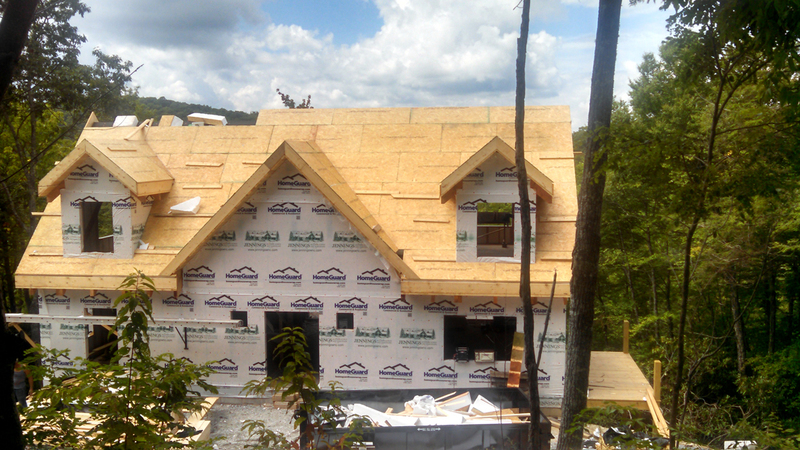 Construction on the Appalachian home at The Divide is progressing quickly! The roof is on and insulated. Next, we are planning for the installation of windows and the addition of the front porch. Plumbing and electrical rough-ins are also being completed with interior walls. We are still ahead of a very tight construction schedule.